Trying to keep your garden under control? 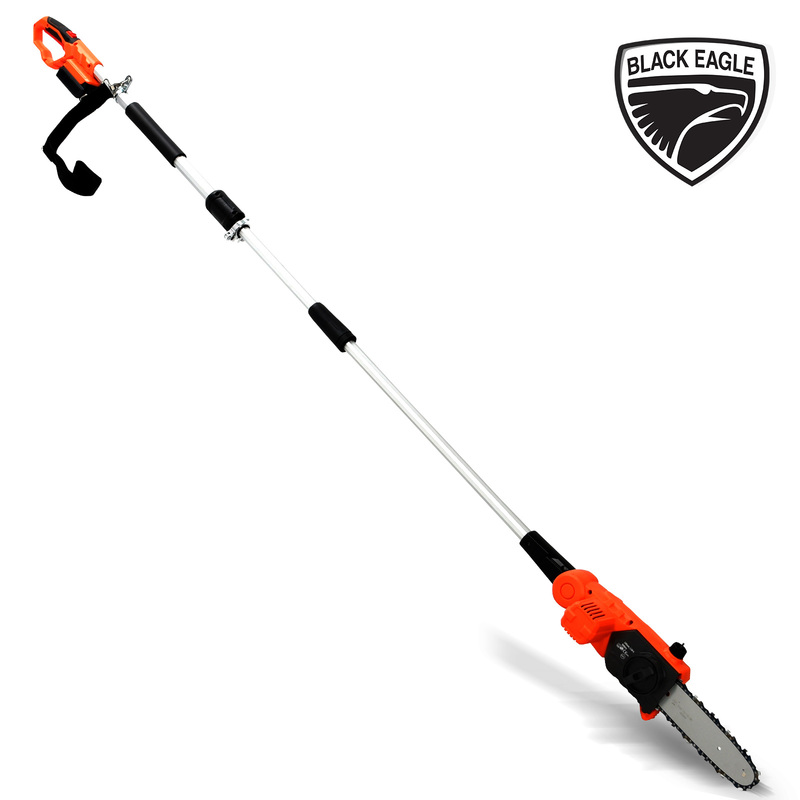 Have you always wanted that perfectly maintained garden? 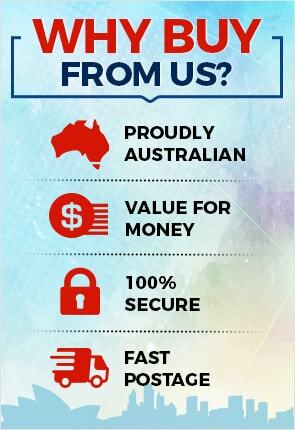 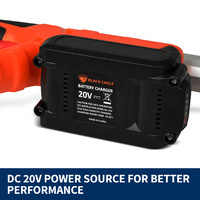 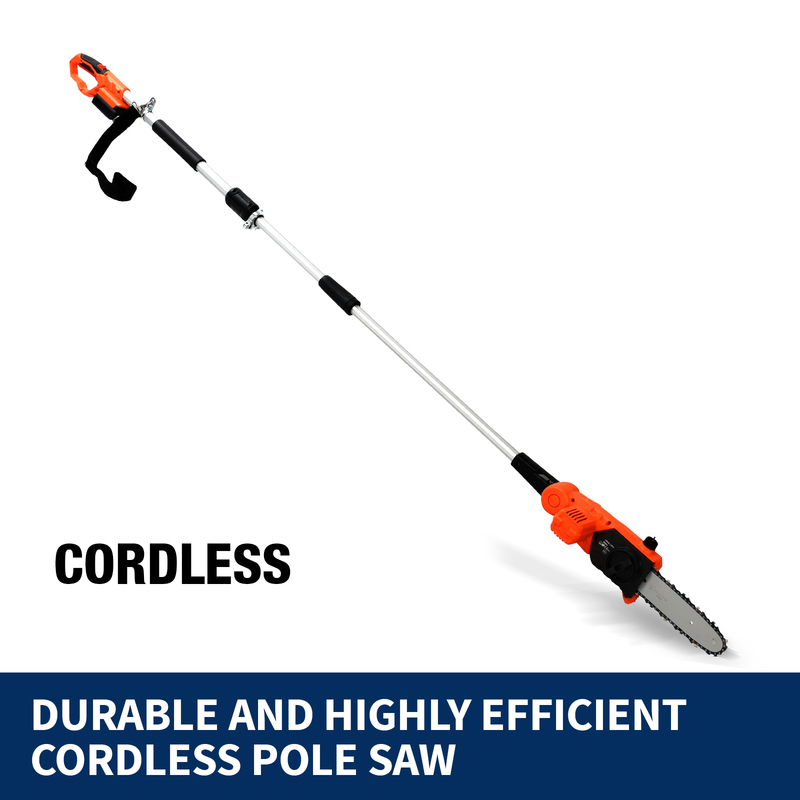 Then look no further than our durable and highly efficient 20V cordless pole saw. 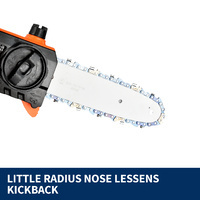 Trimming back your garden has never been this easy or efficient. 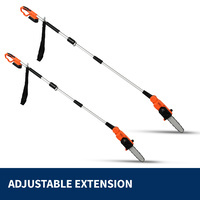 Your cordless pole saw allows you to work continuously without fatigue due to the added benefit of the shoulder strap. 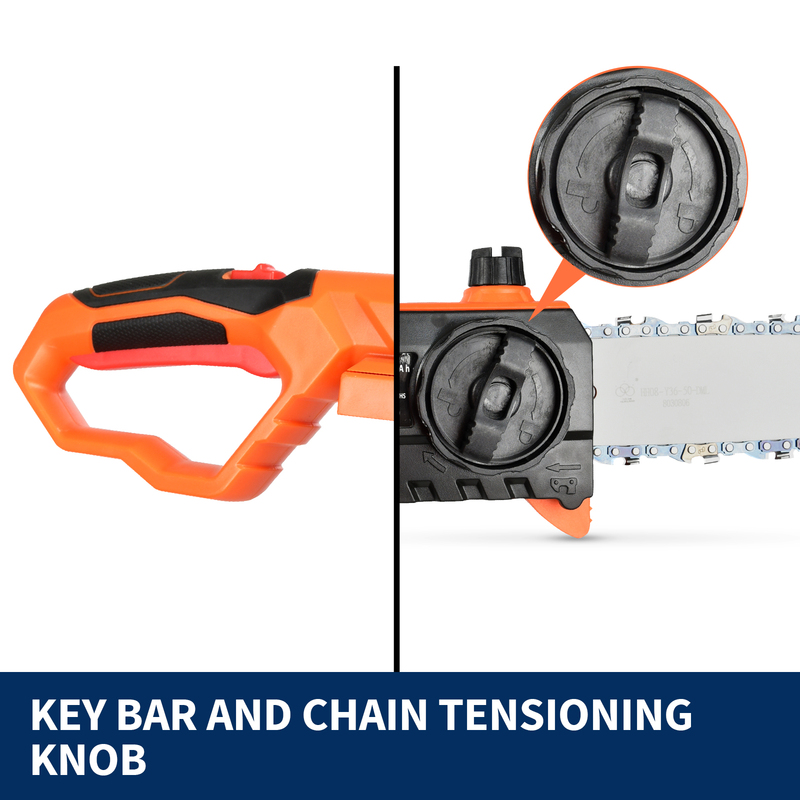 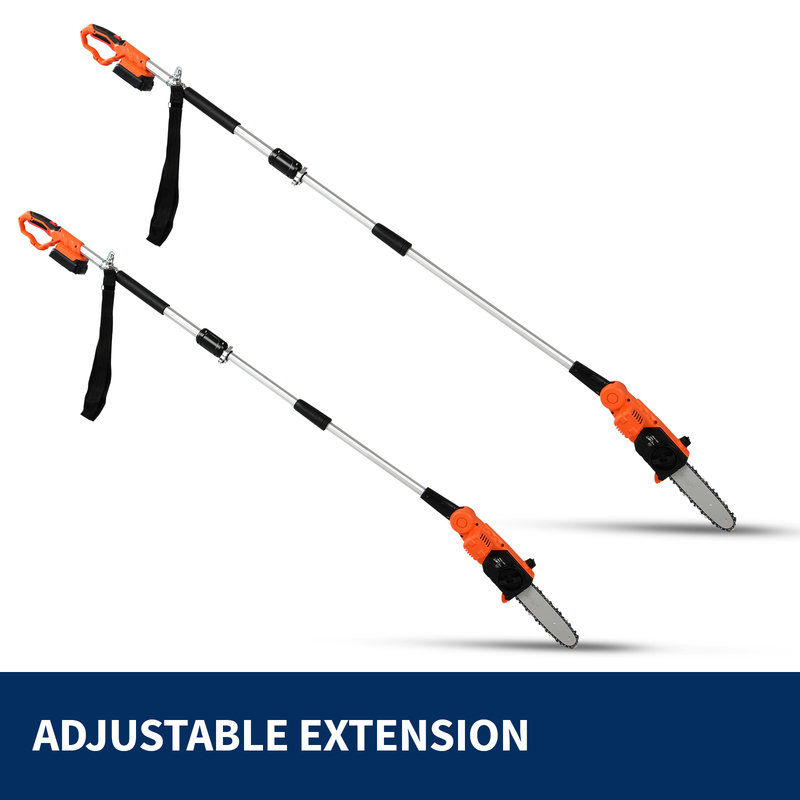 Helping you to effortlessly trim those hard to reach branches. With the 20V, 1500mA.h Li-ion battery, you will be able to cut an 80mm diameter piece of wood into 30 pieces in only 15 minutes! 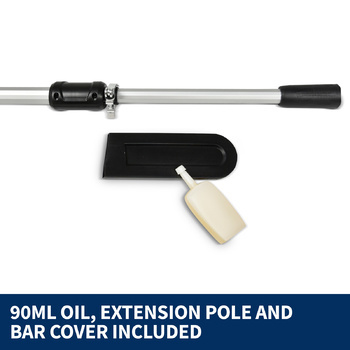 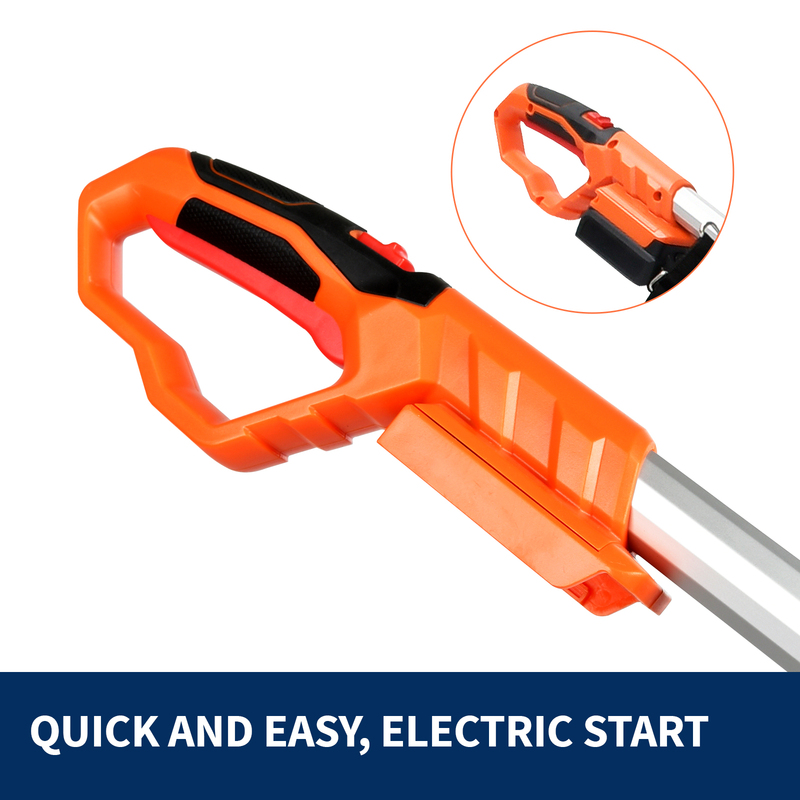 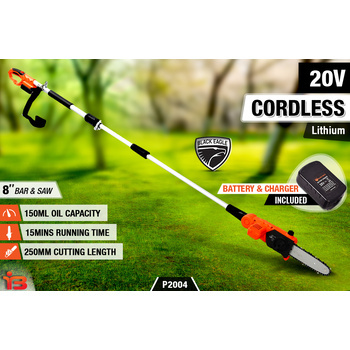 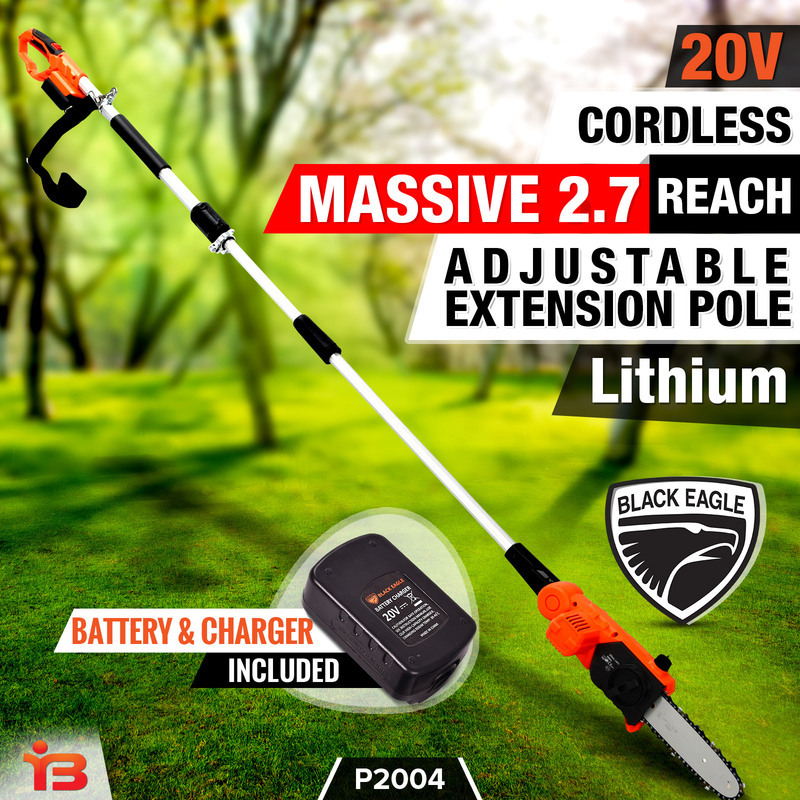 The cordless pole saw is very low on maintenance with a 150ml oil capacity and automatic oil motor to make sure the chain remains lubricated at all times. 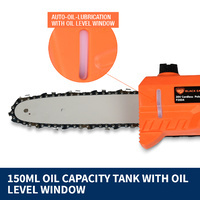 The oil level window makes it easy to see when you are running low on oil and the new improved design makes it easy to store. 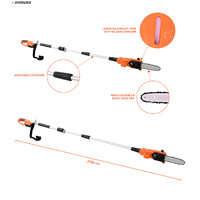 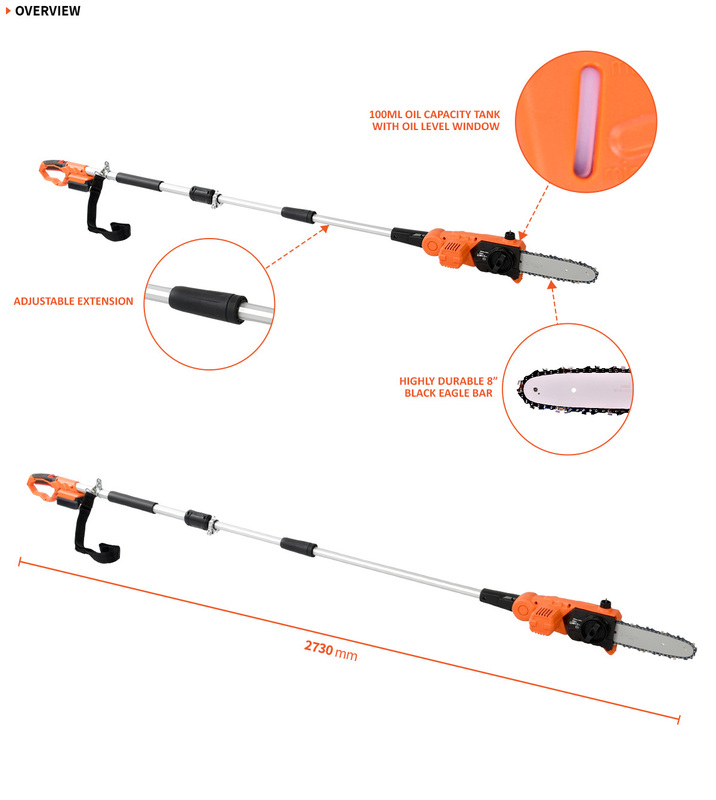 As an added bonus the package includes an extension pole allowing you to comfortably trim all those unwanted, out-of-reach branches. 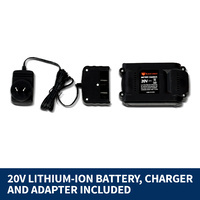 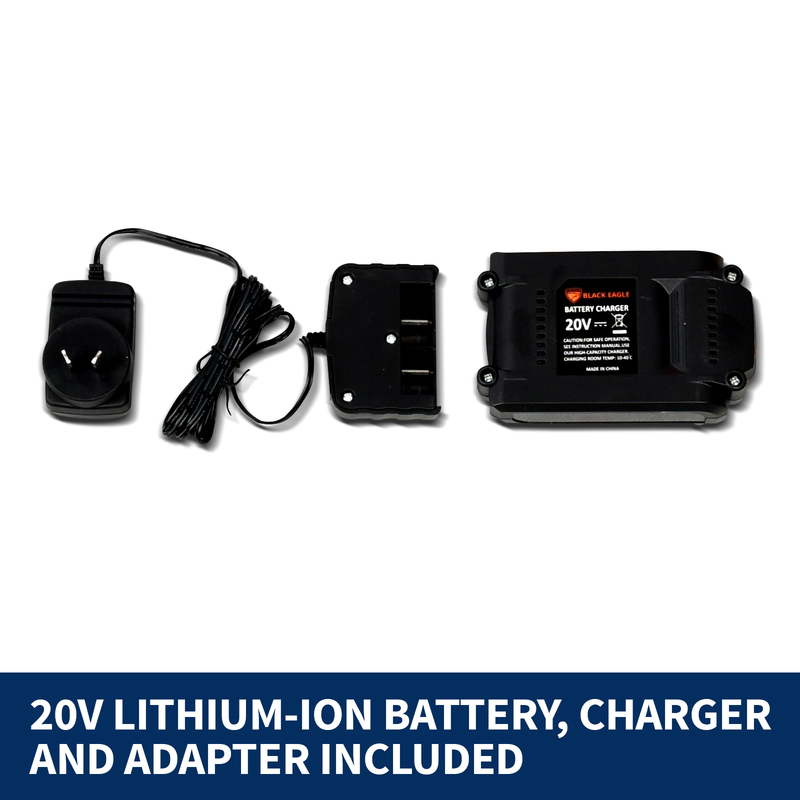 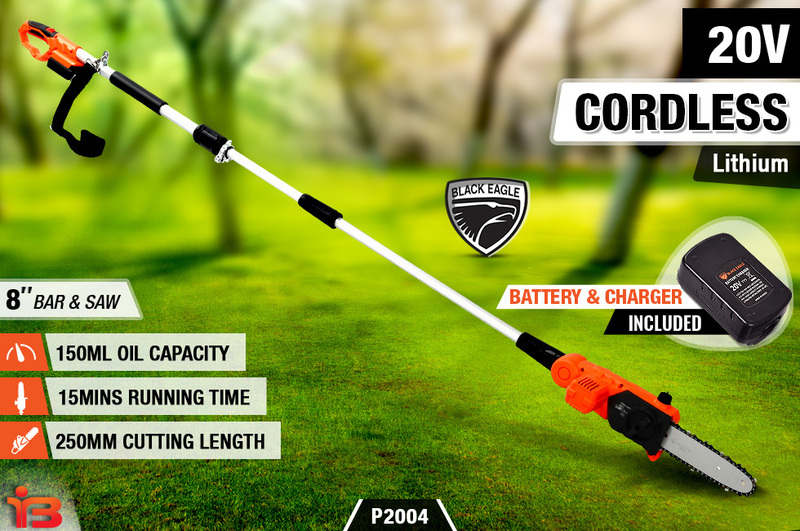 For your convenience, the cordless pole saw comes with a battery, adapter and a charger. You will keep your garden from turning into a jungle. 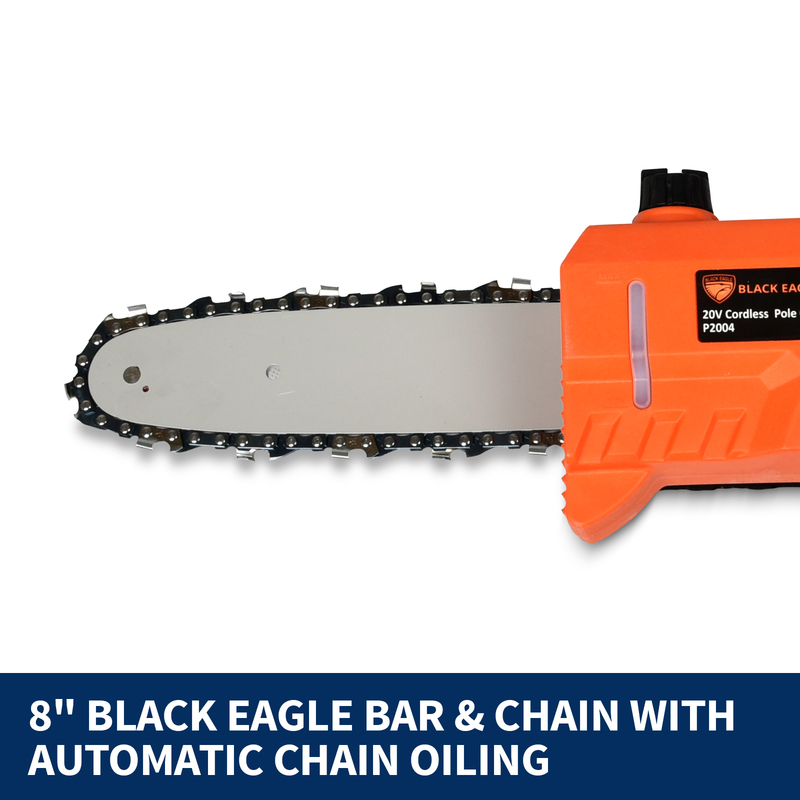 Cutting away those unwanted branches and shrubs have never been easier. 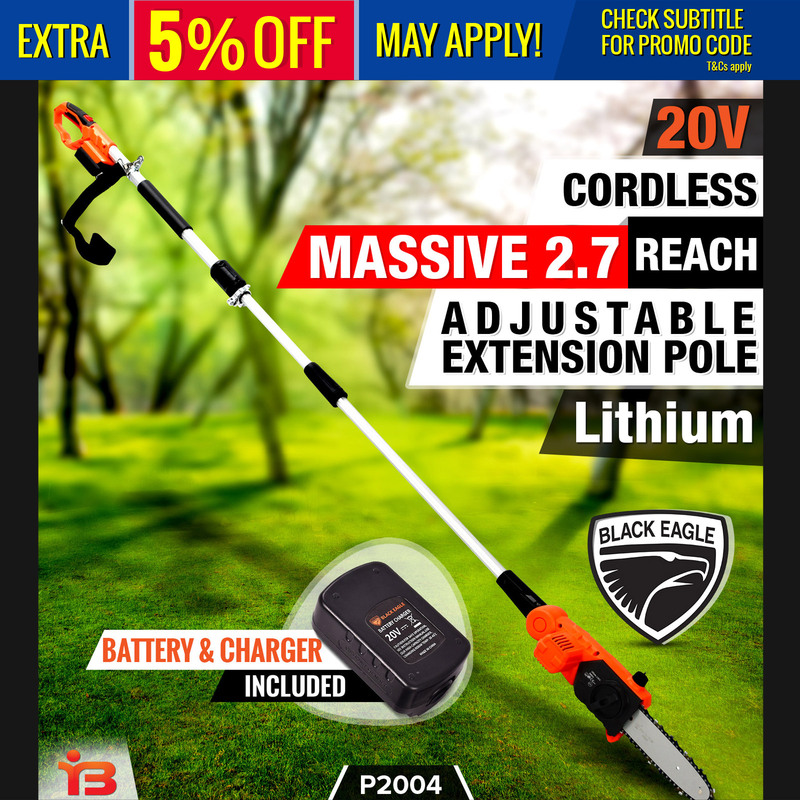 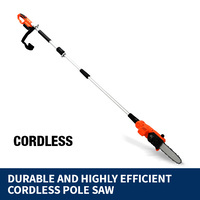 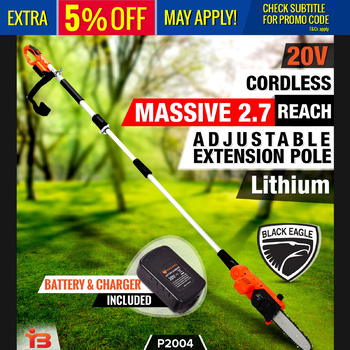 For a perfectly manicured garden, get your cordless pole saw today!